This is already the case in the UK and Poland, the Annals of Oncology reports. The rise reflects a surge in the number of women who started smoking in the 1960s and 1970s, the experts say. The lung cancer death rate will continue on its upward trend for the next few years – but with fewer young European women now starting to smoke, it should decrease with time. In 2013, some 82,640 European women will die from lung cancer, while 88,886 will die from breast cancer. And by 2015 the balance will have shifted and lung cancer will take the lead, according to Prof Carlo La Vecchia and colleagues. They looked at cancer rates for the EU as a whole (27 member states as at 2007) and also in six individual countries – France, Germany, Italy, Poland, Spain and the UK – for all cancers, and, individually, for stomach, intestine, pancreas, lung, prostate, breast, uterus (including cervix) and leukaemias. Figures show that although more and more people are developing cancer – because they are living longer – overall, fewer are dying from the disease. Despite the decline in total cancer deaths, lung cancer death rates continue to rise among women in all EU countries. The number of pancreatic cancer deaths among both men and women also shows no sign of decreasing, largely because there are few effective treatments for this type of cancer. Prof La Vecchia, of the University of Milan, Italy, said: “This is worrying. It is the single major cancer that does not show any signs of declining in the future, despite fewer people smoking. 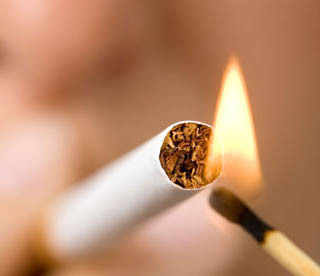 “Smoking and diabetes account for about a third of cases. But we do not know what causes most of the rest. Sarah Williams, of Cancer Research UK, said: “It’s encouraging to see that overall the rate of people dying from cancer in Europe is predicted to continue falling. “This reflects improvements in what we know about how to prevent, diagnose and treat cancer and shows that through research we are making inroads against the disease. “But deaths from lung cancer in women are still rising, reflecting smoking rates in previous decades, so sadly most of these deaths were avoidable. “These figures underline the importance of reducing the number of people who smoke – both through helping smokers to quit and by introducing plain, standardised packaging to give young people one less reason to start.